Here at Robinson and Ries, we offer the latest technology in orthodontic treatment like Insignia Advanced Smile Design and Lythos Impression Scanner. The Lythos Impression Scanner replaces the traditional molded impressions we are used to. This means no more gagging or drooling all over yourself. Simply bite down and let technology do the work! “The lythos and insignia system allows the doctor to digitally simulate your treatment and design your final bite and smile prior to placing braces. Thus allowing for the most efficient treatment possible,” says Dr. Dave Ries. 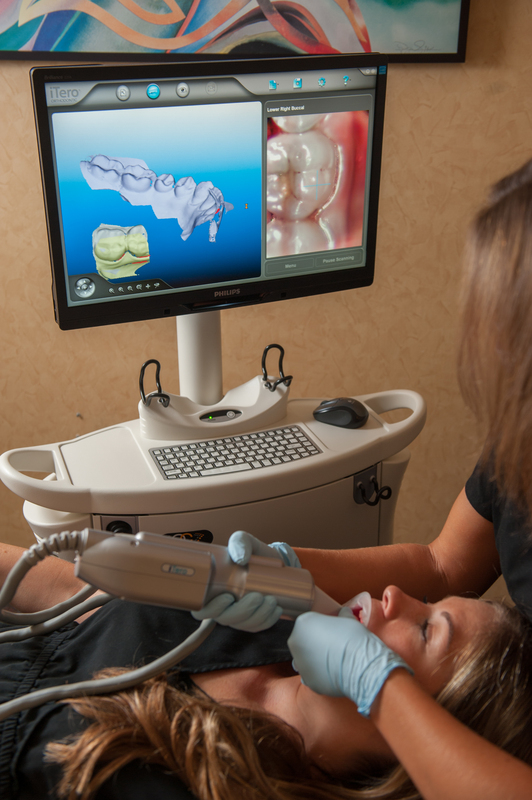 The Lythos Scanner is a high tech video recorder using 3D laser imaging that allows us to record the size, shape and contours of your teeth in about 30 minutes. Each aspect is precisely calculated to affect tooth movement in the most optimal way, resulting in fewer office visits and exceptional comfort. This helps reduce the duration of your treatment so you’ll be out of braces and showing off your new smile in no time! Insignia braces are manufactured off these models, as well as retainers, expanders and space holding appliances. Our Insignia braces are a computerized system that combines digital treatment planning with custom made brackets and wires tailored to your specific dental anatomy. Treatment is 100% personalized and tailored to the individual patient. Ask us about Insignia and Lythos today! February Patient of the Month – Jason! Our patient of the month chosen in February is Jason Yoo. 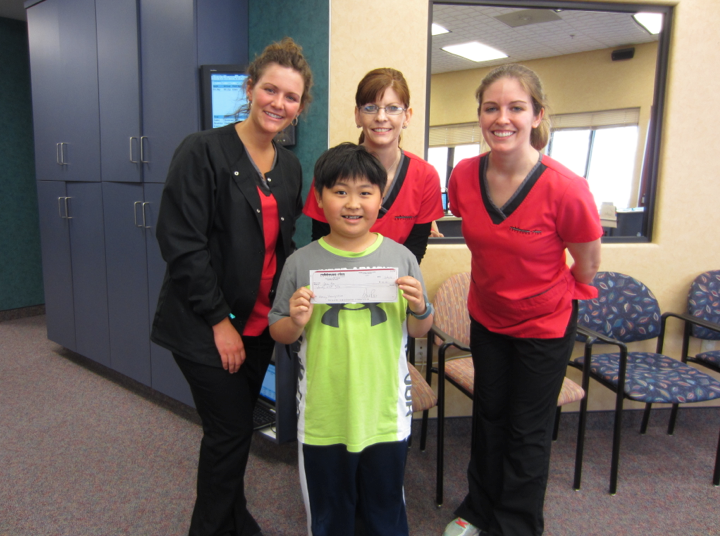 He received the prize of $40 because he is such a good patient; no breaking his braces and perfect oral hygiene! Jason is in 4th grade at Mill Creek Elementary. He is a talented musician and plays piano as well as viola. He also enjoys to read, play soccer and basketball in his free time. Despite Jason being busy, he has found time to go above our expectations and take excellent care of his braces. Way to go, Jason! • Endocarditis. Endocarditis is an infection of the inner lining of your heart (endocardium). Endocarditis typically occurs when bacteria or other germs from another part of your body, such as your mouth, spread through your bloodstream and attach to damaged areas in your heart. • Cardiovascular disease. Some research suggests that heart disease, clogged arteries and stroke might be linked to the inflammation and infections that oral bacteria can cause. • Pregnancy and birth. Periodontitis has been linked to premature birth and low birth weight. • Diabetes. Diabetes reduces the body’s resistance to infection — putting the gums at risk. Gum disease appears to be more frequent and severe among people who have diabetes. Research shows that people who have gum disease have a harder time controlling their blood sugar levels. • HIV/AIDS. Oral problems, such as painful mucosal lesions, are common in people who have HIV/AIDS. • Osteoporosis. Osteoporosis — which causes bones to become weak and brittle — might be linked with periodontal bone loss and tooth loss. • Alzheimer’s disease. Tooth loss before age 35 might be a risk factor for Alzheimer’s disease. • Other conditions. Other conditions that might be linked to oral health include Sjogren’s syndrome — an immune system disorder that causes dry mouth — and eating disorders. Because of these potential links, be sure to tell your dentist if you’re taking any medications or have had any changes in your overall health — especially if you’ve had any recent illnesses or you have a chronic condition, such as diabetes. • Brush your teeth at least twice a day. • Schedule regular dental checkups.